The Low-Down: Why Is There Gaming Disorder But Not Smartphone Disorder? Why Is There Gaming Disorder But Not Smartphone Disorder? Why is gaming the only official computer-related behavioral addiction? Why not internet or smartphone addiction? Perhaps the issue isn’t that gaming should or shouldn’t be a mental disorder, but that the public is so willing to assume negative behaviors are the result of individual mental defects, rather than more complex social, political, and economic factors. The international health community has decided that if you play video games like Fortnite or World of Warcraft a lot, you might suffer from a mental-health issue: Gaming Disorder. It’s a behavioral condition that the World Health Organization has added to the proposed 11th revision of its International Statistical Classification of Diseases and Related Health Problems, or ICD-11, the first update to the classification since 1992. If you play a lot of chess or Settlers of Catan on a card table in the den, don’t worry, you’re fine—according to WHO, gaming disorder is a digital affliction. If you play obsessively online with other people, to the detriment of other activities, that’s one possible sign of trouble. But playing offline and alone—Candy Crush, say, or even Tetris—is also a potential red flag. Generally speaking, a player would have to game excessively over a year or more for the pathology to apply, and that activity would have to produce profound negative consequences for their social, familial, or work life. The ICD-11 categorizes gaming disorder as an addictive disorder in the same category as drug abuse. But instead of a substance—a thing one consumes—underlying the addiction, a behavior does—an activity one performs. When the ICD-11 is adopted at the World Health Assembly in May 2019, gaming disorder will join one other behavioral disorder in the classification, gambling disorder. But wait: Can people truly be addicted to games, like they can to gambling, or to heroin? And even if they can, why is gaming the only official computer-related behavioral addiction? Why not internet or smartphone addiction? Perhaps the issue isn’t that gaming should or shouldn’t be a mental disorder, but that the public is so willing to assume negative behaviors are the result of individual mental defects, rather than more complex social, political, and economic factors. In the United States, health-care professionals primarily rely on the ICD for its medical definitions, which help clinicians identify and diagnose conditions. ICD codes are used for insurance purposes, making a disease or disorder with a diagnosis code more likely to enjoy coverage for treatment. Though U.S. psychologists and psychiatrists tend to reference the Diagnostic and Statistical Manual of Mental Disorders, or DSM, on mental-health issues, internationally, the ICD’s mental-health diagnostics serve a purpose similar to its medical codes. Should the ICD-11 be adopted, gaming disorder would become coded internationally as an acknowledged mental-health condition, possibly paving the way for better support for its treatment—whether or not that treatment is warranted. 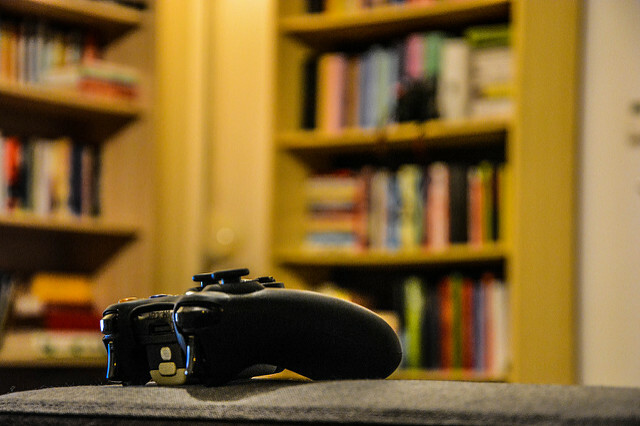 Though the current proposal comes from the WHO, gaming disorder made an earlier appearance as a “condition for further study” in the fifth edition of the DSM, published in 2013. The American Psychiatric Association’s take was called Internet Gaming Disorder. Akin to an addiction to heroin or alcohol, the proposed diagnostic criteria roughly tracked those for substance abuse, such as withdrawal, tolerance, a desire to stop, and negative impact on life activities. Internet Gaming Disorder’s inclusion in the DSM drew concern from gamers, who objected to the implication that their hobby was an intoxicant and therefore an intrinsic danger. Psychologists also worried that comparing gaming to substance abuse amounted to a mixed metaphor, because games don’t provoke physical reactions like tolerance and withdrawal the way narcotics do. withdrawal and tolerance as diagnostic criteria. The WHO told me that it began evaluating the public-health implications of excessive use of computers, smartphones, and the internet in 2014, in response to concerns from its community. But despite those concerns, gaming disorder made it into the ICD-11 draft as the only “clinically recognizable and clinically significant syndrome” related to the broader category of computing and the internet. Some researchers wonder if the WHO might be under pressure to codify gaming disorder. In 2017, an article in the journal Professional Psychology: Research and Practice argued that two members of the WHO advisory group, Geoffrey Reed and Vladimir Poznyak felt political pressure to identify gaming disorder, particularly from member states where the consequences of excessive online gaming have been particularly extreme. But it makes sense that the WHO would respond to lobbying by its affiliates. If the overuse of games or smartphones are a matter of behavior, then of course that behavior is bound to vary by region, nation, culture, and other social conditions. To some extent, all diseases require a social construction—they have to be acknowledged by a body like the WHO in a bureaucratic artifact like the ICD in order to be diagnosed, treated, managed, and paid for. But unlike a viral infection or an autoimmune condition, a behavioral disorder is particularly susceptible to the varied social contexts in which the behavior takes place. percentage of gamers (or dancers, or tanners, or Instagrammers, or novel-readers, or football fans) are compelled to the point of pathological overuse, and if what is pathological in the first place is subjective, then why not create a broader Behavioral Overuse Disorder that could apply to anything, without prejudice? When I pose the question to Christopher Ferguson, he agrees that the diagnostic standard bodies are cherry-picking their targets of concern. “If WHO had been around 100 years ago, maybe we would have been talking about telephone addiction instead,” Ferguson says. “When society rapidly adopts technology, it makes people anxious. A narrative that we’re using them too much emerges. People were worried that the telephone would change behavior—reduce letter writing, for example—and they were right! Culture did change!” But then or now, that doesn’t mean that the people who pursue those activities are necessarily pathological. Just because people partake of an activity more than they’d like to doesn’t mean that they are “addicted.” For a long time, addiction referred only to substances, like drugs, alcohol, and tobacco. But as awareness of and concern for mental-health disorders have proliferated, both clinicians and the general public have become more willing to attach the name “addiction” to compulsive behaviors of all kinds. urging further study. But the ongoing replication crisis in the behavioral sciences could undermine the hope for clarity through research. The opportunity to pathologize certain behaviors is appealing. To make a behavior a mental illness also gives the individual—or a parent, or another interested party—some control over it. A diagnosis pinpoints what’s “really going on,” and thus it offers an answer, and a possible path forward, too. To have an “addiction” to smartphones or a gaming “disorder” also implies a way to wrest oneself from the grip of those activities. But not all social behaviors are entirely under individual mental control, and not all compulsions are just individual choices contorted into pathological obsession. Nor are they merely reducible to the underlying mental conditions like the ones Ferguson and others cite as the “real” causes of excessive gaming. It’s understandable to look at an adolescent playing Fortnite every night and lament, “I wish he were outside playing soccer.” And it’s convenient to imagine that a diagnosis and a treatment center might “cure” that ill. But other factors besides the failed resolve of the teenager are at work, too. The highly structured lives of today’s youth, for example, that make late-night play in the basement a rare refuge. Or the availability and maintenance of nearby public green space. Or the increasing precarity of such public spaces for youth of color. Or school closures, which result in more busing of kids far away, and thus make it harder to engage in after-school activities. Or any hundred other factors, too. It’s not just games, either. Social, political, and economic factors draw people into repetitive use, even without underlying mental conditions.There’s the economy of attention that draws users of games like Candy Crush and apps like Facebook into the compulsion loop of repetitive use. The business models that rely on a small percentage of customers spending money on add-ons, upgrades, and subscriptions to sustain the freeloaders. The slot-machine-style loot boxes in games that really do feel like gambling. The ad-supported networks that rely on daily use to produce “engagement” value. The data-brokering profits that come from extracting the spoils of that use. And on and on. If the gaming and technology industries are already thinking of people as “marks” who might be willing to dump obscene amounts of time, money, and data into their services, then offering those folks new mental-health disorders as salve is cold comfort.